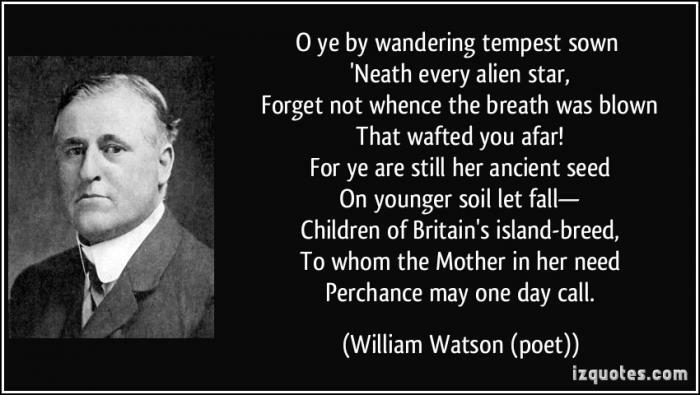 Sir William Watson was an English poet, most certainly at his peak in the latter years of the 19th century. 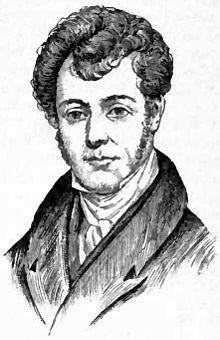 He could be described as the archetypal “Victorian Poet” with his style and idioms being firmly entrenched in that period. 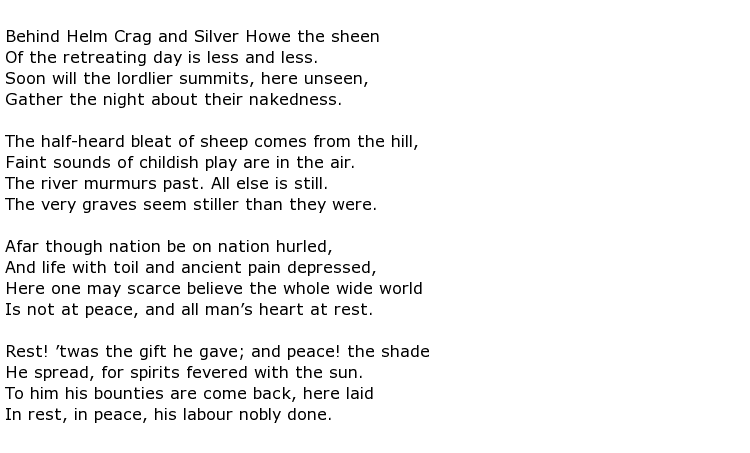 Some of his poems were of a lyrical nature, none more so than the famous Wordsworth’s Grave, written in 1890. At other times though his work was politically controversial in that he had a regular talent for criticising “the establishment” and he is famous for being passed over for Poet Laureate not once, but twice. Both times he was, by popular demand, the outstanding candidate. But both times poets considered by many to have “lesser talents” got the job. Watson just refused to conform and spoke out loudly against conflicts such as the Boer War. He was a libertarian and a devout enemy of all forms of tyranny. 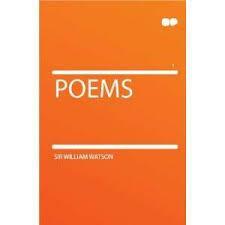 William Watson was born in the West Yorkshire town of Burley-in-Wharfedale on the 2nd August 1858. There is little to be found about his upbringing in this beautiful part of the Yorkshire Dales, or his early years, so it might be wise to skip straight to his golden years as poet – the 1890s. 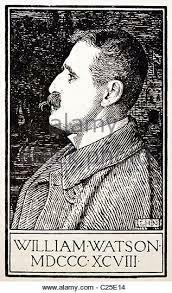 At the time there was a famous London publication called The Yellow Book which featured famous guest contributors such as H G Wells, Arnold Bennett and Henry James. Although the general concept of the magazine was that it should major heavily on decadence and aestheticism all of the articles were, by no means, on those lines. Watson was a contributor and certainly never wrote anything of that nature. 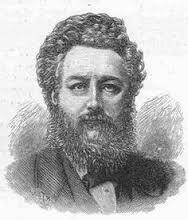 When Alfred Lord Tennyson died in 1892 Watson wrote a fine eulogy about him called Lachrymae Musarum. 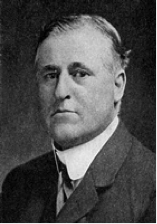 The same year he was in the running for the Laureateship but was passed over for a lesser man, Alfred Austin. 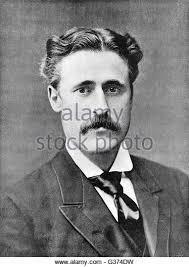 The government blamed Watson’s state of mind following some kind of breakdown but political reasons were suspected, especially his strong opposition to the Boer War. 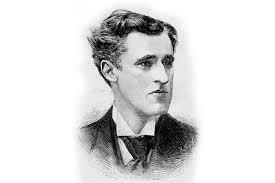 In 1894 he published Odes and Other Poems, including a poem called Vita Nuova which appeared to be his expression of thanks (to someone) for a full recovery from his recent health problems. He was soon back on the attack though with a swipe at the Turks (The Purple East, 1896). But then he would write a charming, celebratory piece such as his unofficial Ode on the Coronation of King Edward VII which he considered to be far superior to the official one put out by the Laureate. He was considered a second time for that coveted role in 1912 but missed out again, this time to Robert Bridges. 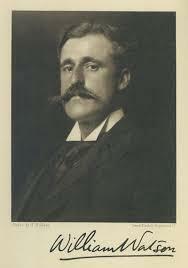 Perhaps it was almost a sweetener when he was awarded a knighthood in 1917 although he had written in support of the First World War and also produced a “panegyric” eulogising wartime Prime Minister David Lloyd George. Sadly, after the war, interest in his work waned dramatically. 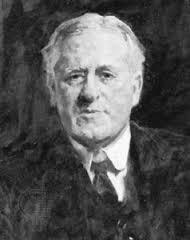 Sir William Watson died in Sussex on the 13th August 1935, aged 77.